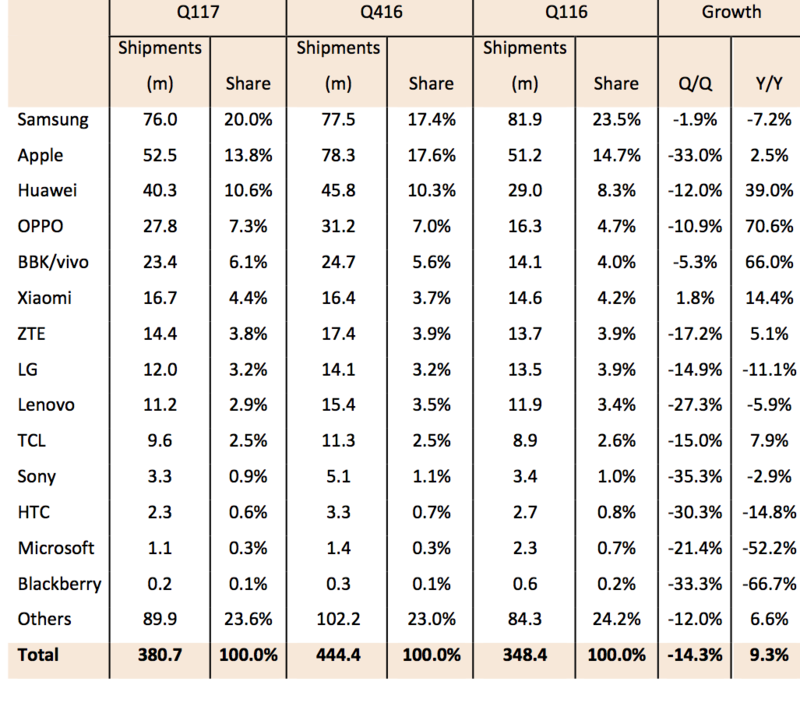 Global smartphone production volume for the first quarter of 2017 totaled 307 million units, a drop of 23% from the previous quarter, according to market intelligence firm TrendForce. Canaccord Genuity put the shipments at 380.7m, a difference of 24%. Both companies have Q/Q shipments as negative, which follows historical experience, but Canaccord also included the Y/Y figures, which were up 9.3%.